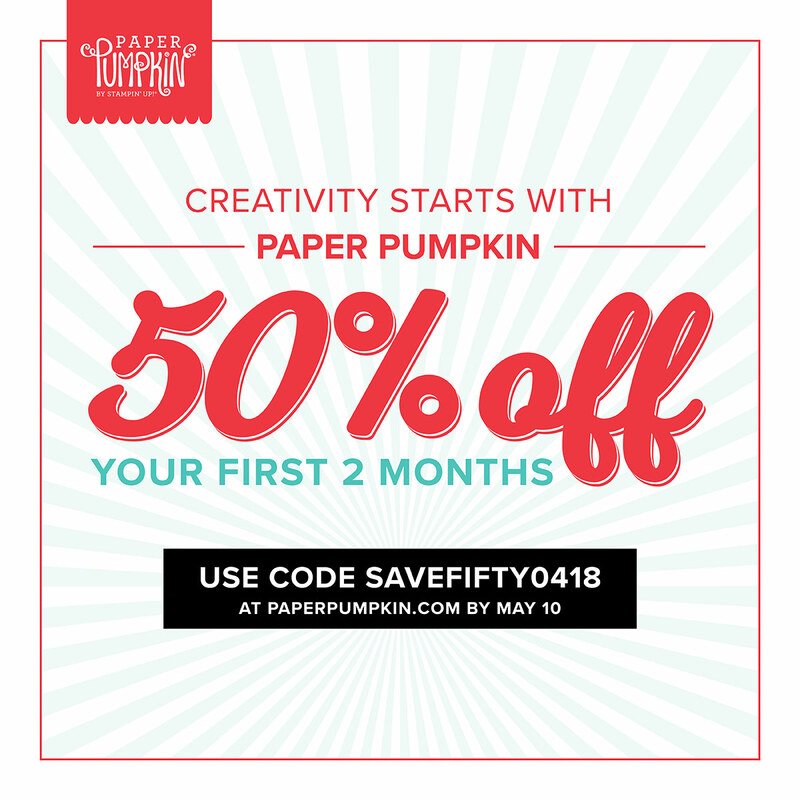 March Paper Pumpkin and a 50% code! Crafting, Paper Pumpkin, Papercrafting, Stampin' Up! I love Paper Pumpkin, but I can tell you that March beat every kit I’ve gotten and there were several that I really loved. For those of my followers who don’t know what Paper Pumpkin is, let me share! Paper Pumpkin is an all inclusive kit that comes out each month with a new project that has everything you need (minus snips) to complete the entire project. HOW AWESOME IS THAT?? This month Stampin’ Up! and Paper Pumpkin is celebrating it’s 5th Anniversary and also added a gift for everyone that ordered for March. But wait there’s more (lol, I always wanted to say that), for those who still want to share in the excitement, you can get your first 2 months at 50%off! How great is that ONLY $10 a month for 2 awesome kits? Use this link with the coupon code of SAVEFIFTY0418! To get this great deal click HERE. Check out my videos below. I did it in two videos this time because we are coming up at the end of Sale-A-Bration and wanted to share some of the awesome products.